Dr. Robert G. Silverman is a seasoned health and wellness expert on both the speaking circuit and within a wide variety of media outlets. He has appeared on Fox & Friends, FOX News Channel, NBC, CBS, CW affiliates as well as The Wall Street Journal and NewsMax, among others. 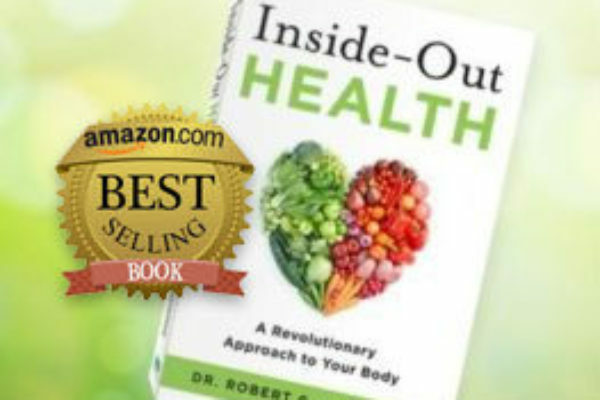 Recently he was invited as a guest speaker on “Talks at Google” to discuss his current book, Amazon’s #1 best seller in 2016 “Inside-Out Health: A Revolutionary Approach to Your Body”. A frequent author for the professional journals Dynamic Chiropractic, Chiropractic Economics, The Original Internist, Holistic Primary Care, and mainstream publications like RedBook, Muscle&Fitness, Mind, Body, Green, NY Tennis Magazine, Prevention.com, and The Hill, just to name a few. Dr. Silverman is an established thought leader in his field and practice. He is also a doctor’s doctor—one who is sought after by his colleagues for his expertise. As a recognized authority in his field, he teaches other doctors how to diagnose and treat patient conditions. Dr. Silverman takes great pride and pleasure in educating audiences on wellness and healthy lifestyle changes. He is an engaging and dynamic speaker who consistently leaves his audiences well-informed and with lots of actionable takeaways. I attended The Ultimate Sports Nutrition Seminar hosted by Metagenics in Toronto, CA where Dr Silverman was a featured speaker. There were a number of different speakers on stage that day and Dr Silverman was by far my favorite. Not only is his knowledge of health and wellness second to none, he also has an extremely engaging and energetic delivery of his message. I first met Dr Silverman as an attendee of the Chiropractic Assoc. "Optimize Musculoskeletal Health" seminar sponsored by Erchonia. Robert Silverman can best be described as a doctor's doctor. His topic that day of protocols for sports performance and recovery gave me so many great ideas for how to best deliver services to my own patients and clients. I'm definitely looking forward to seeing a Dr Silverman presentation again soon. I'm a personal trainer and attended the SWIS Symposium in Ontario, Canada. The symposium was terrific - it was 3 information packed days hearing from some of the health industries top influencers. One of the speakers was Dr Rob Silverman - I'd have to save that he was definitely at the top of my list of favorites. Dr Rob has a way of taking what would normally be a very complex subject and explaining it in an easy to understand way. Thanks doc, I'm looking forward to seeing your next presentation. Dr. Silverman is an amazing asset for any organization to add to their speaker line-up. He is so versatile and extremely experienced in many areas of health/wellness/chiropractic. Beyond expertise, his willingness to promote and engage pre and post event is unmatched. He has the ability to communicate to large and small groups alike, and all attendees (regardless of geographic location) fall in love with his NY no-nonsense way of doing things.